NEW DELHI, DELHI, INDIA, December 30, 2016 /EINPresswire.com/ — Rootefy International Pvt. Ltd. (RIPL) was incepted by entrepreneurs with a spark in their eyes. They wanted to change the game by entering as a medium that declutters the construction business and digitizes it. That’s why they announced today the launch of their new website which offers quick and easy access to essential information and products used in construction with the help of just one portal. They are offering a more comprehensive understanding of the Company's innovative products and services. The company is the sister concern of a leading builder company, BNB Group. This group is based in the Delhi-NCR region from the last 25 years. Mr. Ranjan Gupta (Chairman of BNB Group) is the key investor of this venture. The website caters to different aspects which are varied into product buying, blog, career section and contact information with enlisting space for sellers. "After working so hard on this ambitious project, we are excited about our new website launch and the robust information it provides for customers, investors, partners and media to better understand Construction Material and digital solutions we are prepared to offer. The main aim of our website will be to make the Construction process easy for the consumers, “said Mr. Nitish Gupta, Founder & CEO of Rootefy. "Gaining from our profound experience in the construction industry, we believe that this new site will allow our visitors to have a very informative experience as we continue to grow and increase our market presence." Mr. Abhinav Gupta Founder & CMD remarked when asked about what they wish to achieve with the help of this digi-platform. "Our website has a bundle of aspects that give you counsel about renewable energy. Air purifying through plants is a solution which is able to deliver crystal clear air in a congested environment. The connect with nature keeps our vision of sustainable development clear in addition to the main theme of construction material e-services," added Mr. Manish Kishore, Co-founder & CTO. Visitors are encouraged to explore the website and sign up for direct emails from the Company. PUNE, INDIA, December 26, 2016 /EINPresswire.com/ — Cosmetic industry is highly consumer centric, in terms of perceived value and aesthetic appeal and thus packaging of these products impact the market sales. Most of the packaging for cosmetic products is done with plastic, glass, and metal, while other paper is also used for packaging cosmetic products. Plastic packaging leads the cosmetic packaging market while glass packaging has a dominant share in fragrance market, a subset of Cosmetic packaging market. The Global Cosmetic Packaging Market was worth $24.3 billion in 2014 and is projected to reach $31.4 billion by 2020, at a compound annual growth rate of 4.4%. North America has a market share of 30% while APAC will witness the fastest growth during the forecasted period. Factors like growing beauty consciousness in the consumers, expanding product lines for cosmetic products based on affordability, e-retailing are driving the market, while economic factors like recession are a constraint for the high end market. With cosmetics being FMCG products, retailers have a great impact in identifying the brands that provide aesthetic appeal to the customers and placing the same in their limited shelf space. As such, perception of packaging by manufacturing companies has shifted from being a non-core activity to becoming an extension of their arm. With changing market dynamics of Cosmetic industry by bringing in new products, packaging companies are going for innovations in designing, and technological use to stay competitive. Market Definition for the Cosmetic Packaging along with identification of key drivers and restraints for the market. Market analysis Cosmetic Packaging Market, with region specific assessments. Identification and analysis of the Macro and Micro factors that affect the Cosmetic Packaging Market on both global and regional scale. Global Smart Labels Market Key Players Analysis 2021 – CCL Industries Inc., Invengo Information Technology Co. Ltd., Checkpoint Systems Inc., Avery Dennison Corporation, Displaydata Ltd. The growing retail sector and increased security concerns related to anti-theft are the key drivers of smart labels market. With the rapid growth of retail and manufacturing sector, the demand for smart labels has gone up in merchandise and asset tracking. This is backed by the unique features of smart labels such as re-programmability, simultaneous identification, real time tracking and usage across various industries which have led to the growth of the global smart labels market. APAC dominates the Global glass packaging market with its fast growing market worldwide. The region is expected to show rapid economic growth, growing manufacturing industries, cheap labor along with increased investment in retail sector which induces the demand for smart labels due to security concerns. The key players of Global Smart Labels Market report include- CCL Industries Inc., Invengo Information Technology Co. Ltd., Checkpoint Systems Inc., Avery Dennison Corporation, Displaydata Ltd., Sato Holdings Corporation, Smartrac N.V., Willian Frick & Company, Zebra Technologies Corporation, Intermec Inc., Thin Film Electronics ASA, ASK S.A., Graphic Label Inc., Alien Technology Inc. and Muhlbauer Holding Ag & Co. Kgaa. Taste the market data and market information presented through more than 40 market data tables and figures spread in 115 numbers of pages of the project report. Avail the in-depth table of content TOC & market synopsis on “Global Smart Labels Market Research Report – Forecast to 2021"
Global smart labels market is segmented on the basis of components, technology, application, End-use industry and region. On the basis of technology it is segmented as RFID, electronic shelf label, sensing label, and others. On the basis of application it is segmented as electronic & IT asset, retail, perishable goods, and others. On the basis of end-use industry it is segmented as manufacturing & retail, healthcare & pharmaceuticals, automotive, FMCG, logistics, and others. Additionally on the basis of region, it is segmented as North America, Europe, APAC and Rest of the World. 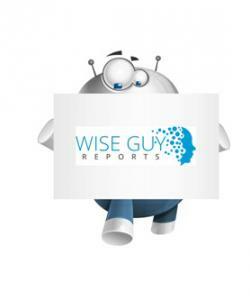 WiseGuyReports.Com Publish a New Market Research Report On – “CHILDWISE Trends Market Global Professional Survey and In-depth Analysis Research Report Forecast to 2021”. The CHILDWISE Monitor report has been published each year since 1994 – a comprehensive annual survey of children's media use, brand attitudes and purchasing habits. Trends data from this proven leading industry tracking study is available as a separate, concise report – providing the ideal introductory reference for information on children aged 5-16 across the UK. Data is presented in total, and separately for boys and girls, within two broad age bands, 5-10 years and 11-16 years. More detailed 2 year age breakdowns are available in the full CHILDWISE Monitor Report, together with further topic areas and analysis. The report provides a basic overview including definitions, classifications, applications and industry chain structure and development policies and plans are discussed as well as manufacturing processes and cost structures. Secondly, the report states the global market size (volume and value), and the segment markets by regions, types, applications and companies are also discussed. Third, the market analysis is provided for major regions including USA, Europe, China and Japan, and other regions can be added. For each region, market size and end users are analyzed as well as segment markets by types, applications and companies. Then, the report focuses on global major leading industry players with information such as company profiles, product picture and specifications, sales, market share and contact information. What's more, the industry development trends and marketing channels are analyzed. WiseGuyReports.Com Publish a New Market Research Report On – “Rail Freight Transportation in Europe 2017 Market Expected to Grow at CAGR 2.75% and Forecast to 2021”. The analysts forecast the rail freight transportation market in Europe to grow at a CAGR of 2.75% during the period 2017-2021. The report, Rail Freight Transportation Market in Europe 2017-2021, has been prepared based on an in-depth market analysis with inputs from industry experts. The report covers the market landscape and its growth prospects over the coming years. The report also includes a discussion of the key vendors operating in this market. WiseGuyReports.Com Publish a New Market Research Report On – “Third Party Logistics in Europe 2017 Market Expected to Grow at CAGR 3.06% and Forecast to 2021”. The analysts forecast the third-party logistics market in Europe to grow at a CAGR of 3.06% during the period 2017-2021. The report covers the present scenario and the growth prospects of the third-party logistics market in Europe for 2017-2021. To calculate the market size, the report considers the revenue generated from the outsourcing of various services such as transportation, warehousing and distribution, and others (inventory management, it services, management of call center and fulfilment operations, and supply chain network analysis and design). The report, Third Party Logistics Market in Europe 2017-2021, has been prepared based on an in-depth market analysis with inputs from industry experts. The report covers the market landscape and its growth prospects over the coming years. The report also includes a discussion of the key vendors operating in this market. Wiseguyreports.Com Publish New Market Research Report On-“Global Galley Equipment Market Share,Supply And Consumption 2017 To 2021 Market Research Report”. The analysts forecast the global galley equipment market to grow at a CAGR of 4.20% during the period 2017-2021. The galley is an area in an aircraft or ship, where the food is prepared and cooked. The electric and non-electric equipment used in the galley area is termed as galley equipment. The global galley equipment market is segmented based on its applications into aviation segment and marine segment. The galley equipment market in the marine segment accounts for strong revenue share due to its larger requirements for galley inserts, which are expensive. However, the galley equipment used in the aviation segment is expected to post a higher growth rate as compared to the marine segment. The report covers the present scenario and the growth prospects of the global galley equipment market for 2017-2021. To calculate the market size, the report considers the revenue generated from the sales of new units of galley equipment to aviation and marine end-users. The report, Global Galley Equipment Market 2017-2021, has been prepared based on an in-depth market analysis with inputs from industry experts. The report covers the market landscape and its growth prospects over the coming years. The report also includes a discussion of the key vendors operating in this market. • Increasing number of commercial aircraft and ship orders. • Growth of LCC airlines. • Increasing demand for retrofitting and renovation. WiseGuyReports.Com Publish a New Market Research Report On – “Third Party Logistics in China 2017 Market Expected to Grow at CAGR 10.16% and Forecast to 2021”. The analysts forecast the third-party logistics market in China to grow at a CAGR of 10.16% during the period 2017-2021. Third-party logistics (3PL) is a business process, through which companies outsource logistics and distribution functions to a logistics service provider that specializes in transportation, warehousing, freight and forwarding, and others. 3PL is part of logistics services that specializes its logistics services according to the need of industry. The report covers the present scenario and the growth prospects of the third-party logistics market in China for 2017-2021. To calculate the market size, the report considers the revenue generated from the outsourcing of the different services. The report, Third Party Logistics Market in China 2017-2021, has been prepared based on an in-depth market analysis with inputs from industry experts. The report covers the market landscape and its growth prospects over the coming years. The report also includes a discussion of the key vendors operating in this market. • Inventory reduction and risk mitigation. • Demand for professional logistics services. WiseGuyReports.Com Publish a New Market Research Report On – “Transport Management System Market Segmentation,Parameters and Prospects 2016 to 2020 Market Research Report”. According to Stratistics MRC, the Intelligent Transportation System (ITS) market is expected to reach $42.67 billion by 2022 growing at a CAGR of 12.21%. Growing population and increasing vehicles have led to increased traffic congestion and need for effective traffic management. The factors favoring the market include, increasing government funding, reducing pollution, rising need for road safety improvements, and increasing traffic congestion. However, high installation costs, sluggish infrastructure growth and need of interoperability between ITS and existing infrastructure are restraining the market growth. Advanced Traffic Management System (ATMS) is leading the ITS market and is expected to dominate the market during forecast period due to its special functions such as real time monitoring, traffic camera monitoring, road weather information monitoring and incident monitoring, traffic signal controlling, and automatic warning. Advanced Public Transportation Systems (APTS) is also expected to witness rapid growth during the forecast period. Traffic management applications dominate the ITS market and expected to continue its growth during the forecast period. Environment protection and road user charging areexpected to be the fastest growing segments. North America has the leading market for ITS and is expected to dominate the market over forecast period due to rising driver safety, reducing congestion and regulatory initiatives. Asia Pacific is expected to grow at the highest CAGR over the forecast period. Transcore Inc., Hitachi Ltd, Siemens AG, Thales Group, Xerox Corporation, Kapsch Trafficcom, Q-Free, EFKON AG, Lanner Electronics Inc, Denso Corporation, Garmin Ltd., EFKON AG, TOMtom International BV, Savari Inc. and Nuance Communications.